As much as we all love Berlin, there are times when it’s good for our physical and mental health to escape the city ever so briefly and go on a quick little adventure. One of the best ways to do this is to take a day trip somewhere. I’ve been living in Berlin for the better part of eight years and have spent many weekends taking off to places like Budapest, Paris, or Amsterdam. I’ve also done plenty of day trips to more nearby locations throughout both Germany and Poland. To that end, this list of 15 exciting day trips from Berlin is a collection of all of the places I’ve visited on a one day trip. You’re going to find some typical day trip ideas on this list, but also some suggestions to places that you won’t find on other travel blogs. For example, I often travel for the weird and offbeat, so expect some trips just for unusual architecture architecture alone. Of course, I recommend picture perfect old towns, places filled with half-timbered houses, and others with dreamlike castles. As usual, I dish out (pun intended) tips for good places to eat and drink. Why Bad Muskau? Mostly people come to spend time hanging out at the UNESCO World Heritage site, Muskauer Park with its luscious English gardens and the Neo-Renaissance castle surrounded by a small lake. Something special about this park is that its geography extends to both Germany and Poland, so walk through the park includes a visit two countries in one shot. There’s not really much to do aside from this, so a visit to Bad Muskau is best paired with other nearby attractions like the Devil’s Bridge (more on that below). Why Braunschweig? I’ll admit that I went to Braunschweig for no other reason than to visit the Happy Rizzi House. This flamboyant office building isn’t open to the public, but there’s no need to explore the interior, as all of the action is outside. 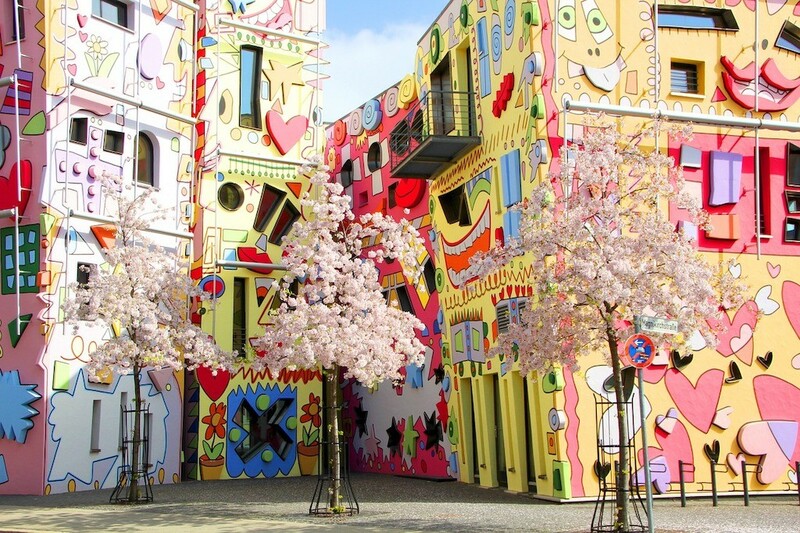 Dubbed as the “happiest place on earth”, the Happy Rizzi House will likely leave you smiling and laughing out loud. Other things to do in Braunschweig include walking around the Burgplatz, touring Dankwarderode Castle and St Blasii Cathedral. If you want to keep up with the weird and offbeat theme, stop for a beer at Mutter Habenicht. Recommended reading: You can read this post to learn about my impressions of Braunschweig back in 2012. Where to stay in Braunschweig? 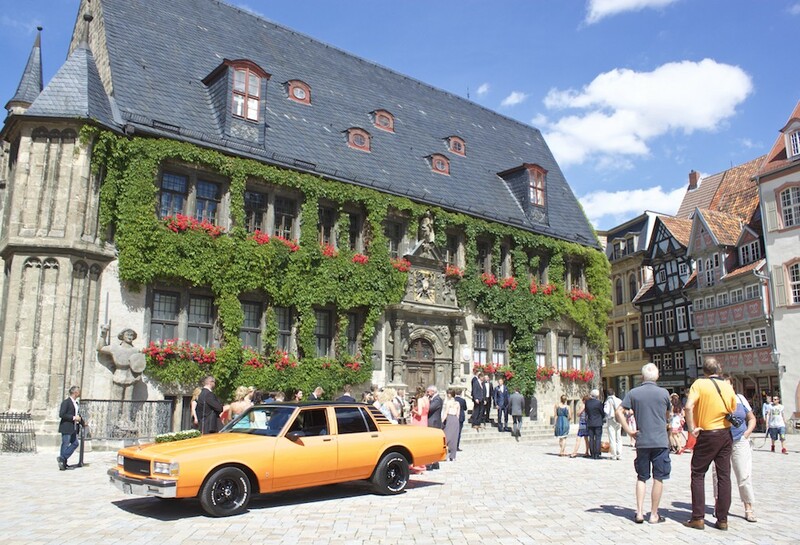 Check out your options with these hotels in Braunschweig. Why Bremen? Yes, at 400 kilometers away, this is a bit of stretch for day trip consideration, but as I did a quick 24 hours there earlier this summer, I couldn’t leave Bremen off my list. Things to do in Bremen include having dinner in a beer garden on a boat, hanging out in the gorgeous Schnoorviertel, walking the short distance of the 100 meter long Böttcherstraße, and relaxing with coffee and cake at the base of a windmill. Why Dresden? 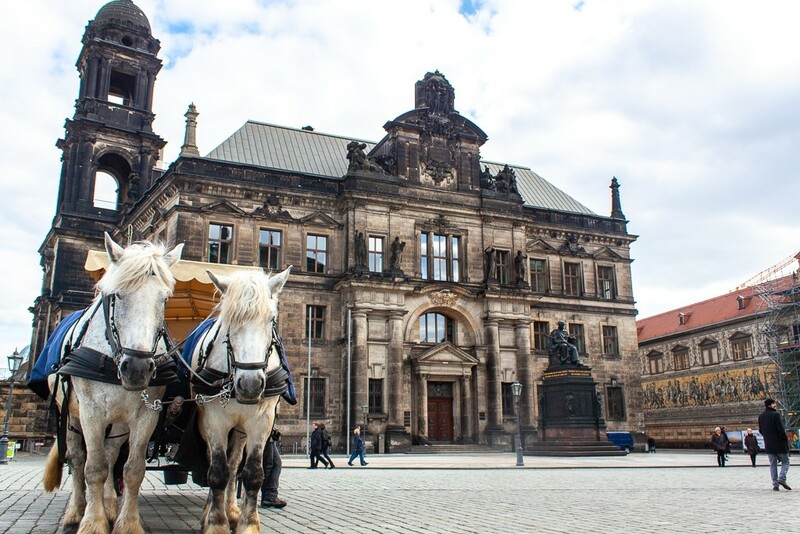 If you’re fans of absolutely stunning architecture, then Dresden is a good day trip choice, as the reconstructed old town alone will take your breath away. Highlights of Dresden include the Zwinger Palace (said to be inspired by Versailles), the domed Frauenkirche, and the opera house. 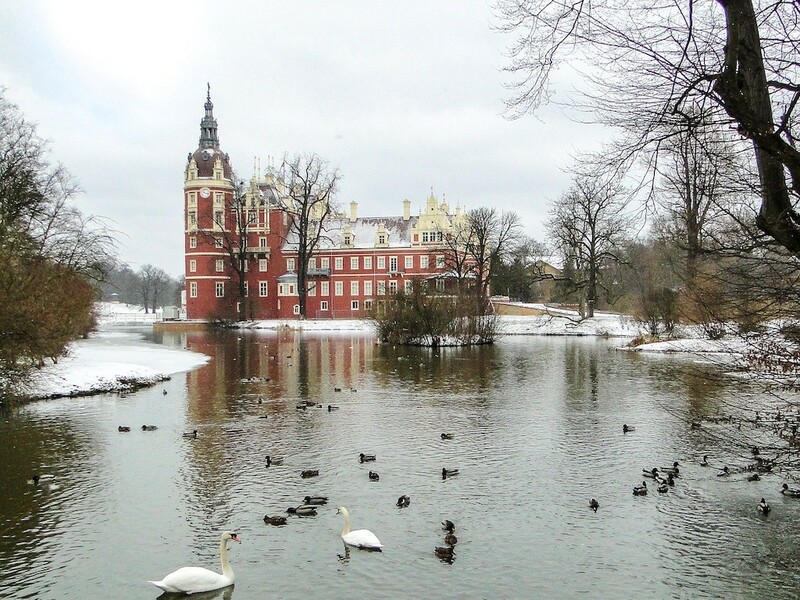 A mere 13 kilometers outside the city center, you can visit Moritzburg Castle situated on a small man-made island. Adventurous (aka athletic) types can add in further excitement to their day trip by taking a hike through the nearby Saxon Switzerland National Park, just an hour outside of Dresden. Why Görlitz? Görlitz is Germany’s Eastern most city. In fact, one of the more fun things to do when there is walk across one of the city’s bridges to get in a quick visit to Zgorzelec, Poland. The city escaped damage during WWII with it’s historic buildings remaining largely intact and the architecture is a mix is Gothic, Renaissance, Baroque, and Art Nouveau. 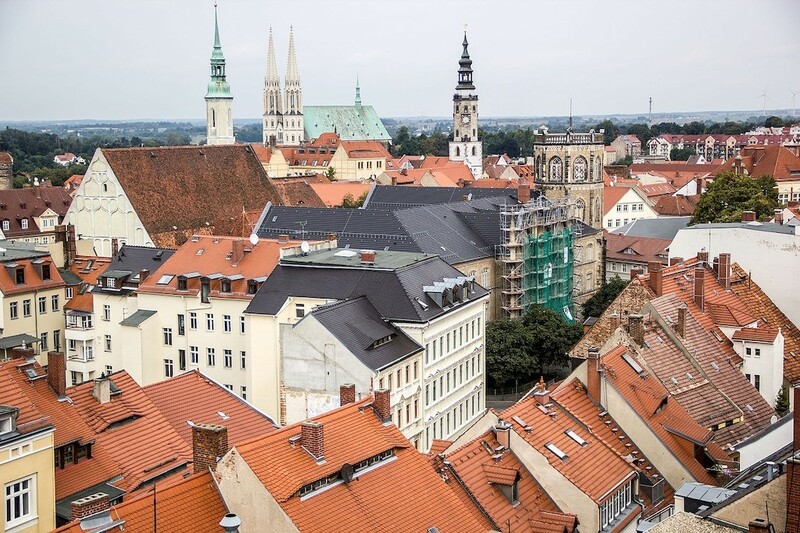 So beautiful, Görlitz has been the backdrop for a number of movies like The Reader, Grand Budapest Hotel, and even, Inglorious Basterds. Görlitz remains one of my favourite day trips from Berlin and you can see some of my Görlitz photos here. Where to stay in Görlitz? There are some really pretty properties here, so book one of these hotels in Görlitz. Why Hamburg? Hamburg deserves an entire weekend, but if you’re short on time, it can also be done as a day trip from Berlin. Spend your day by wandering through the Speicherstadt, touring the new Elbphilharmonie, taking a quick river cruise, or indulging your inner child at Miniatur Wunderland. Recommended reading: My guide of cool things to do around Hamburg’s Schanzenviertel. Where to stay in Hamburg? Take a gander at these hotels in Hamburg or read my hotel reviews for the 25hours Hotel Altes Hafenamt Hamburg and the Gastwerk Hotel Hamburg. Why Kromlau? Instagram stars take note – photos of this place will make your feed blow up. Thousands of people descend upon Kromlau every year just to see the 19th century Devil’s Bridge (Rakotzbrücke) with their very own eyes. The arched bridge is extraordinary, as it forms a perfect circle using the water’s reflection. The bridge is located in Kromlauer Park, a large landscaped park perfect for short strolls and checking out attractions like Kromlau Castle. Kromlau’s one of the best day trips from Berlin, as it can be combined with stops in the Spreewald, Lubbenau, and Bad Muskau. This particular combination of destinations is best done as a fun road trip with friends (me and Travels of Adam did this a couple of summers ago!). Note, visitors are not permitted to walk over the bridge under any circumstances. Anything you see on Instagram was either Photoshopped or done at risk to themselves and the bridge. Give this place the respect it deserves and follow the rules. Turns out the bridge is also currently under renovation, with efforts expected to continue until 2020. 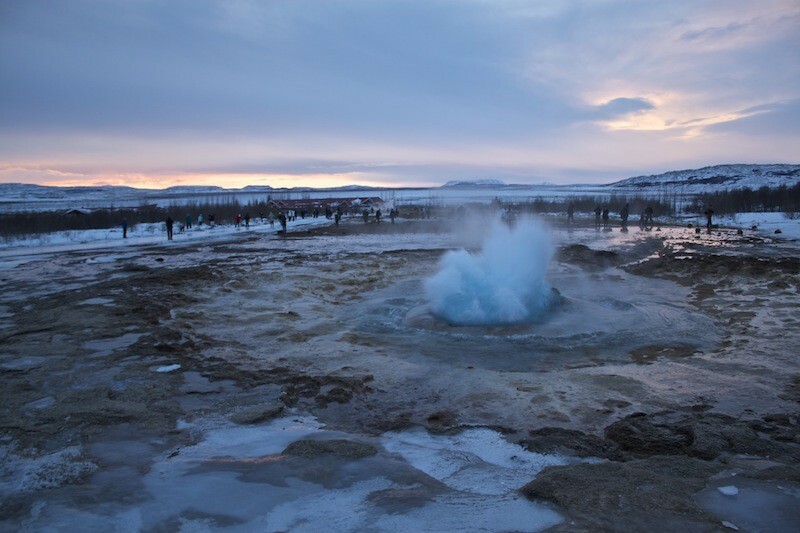 You might want to save this bucket list worthy place until then. Why Leipzig? Leipzig has long been one of the many favoured day trips from Berlin. The New York Times once went so far as to deem Leipzig way cooler than Berlin. But let’s be real, no city in German compares to Berlin and that’s not a bad thing, as Leipzig stands on its own as a pretty cool city. Hang out at cozy cafés by day, dive bars by night, peruse the numerous art galleries, and more. A few spots I liked were Meins Deins Unser, ELSTERARTIG, and Café Albert. Where to stay in Leipzig? There’s tons of options available. See these hotels in Leipzig. Why Lüneburg? It’s one of the prettiest towns in Northern Germany. You can easily pass by much of the day just walking around the city’s beautiful Old Town. Other things to do in Lüneburg include climbing the water tower to see a panoramic view over the town, stopping for a drink or bite to eat beside the river, or visiting the weird and offbeat, German Salt Museum (which is way more interesting than you may think!). Why Magdeburg? Other day trips from Berlin? 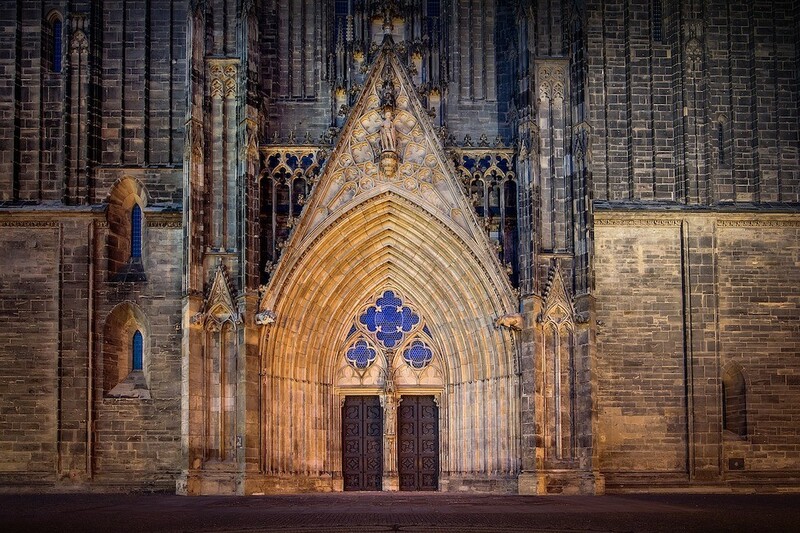 You don’t really need more than a day in Magdeburg, but there are a handful of fun things to do like visit the Gothic Magdeburg Cathedral (the oldest of its kind in Germany), check out the wild architecture of Friedensreich Hundertwasser at the Grüne Zitadelle, get educated at the Museum of Cultural History, and observe one of the tallest wooden structures in the world at the Millennium Tower. Where to stay in Magdeburg? Rest your pretty head at one of these hotels in Magdeburg. Why Poznan? First and foremost, for the incredible food scene. Eat and drink your heart out at traditional Polish restaurants, hip cafes, and other high-end establishments. Experience the pristine old town, enjoy the street art, visit the quirky Croissant Museum, and take in the poignant June 1956 Monument. Book yourself a stay at one of the many hotels surrounding the main square (we recommend Brovaria) to be treated to stunning views from your room. Recommended reading: If you’re looking for some gastronomic inspiration, read my recommendations for Poznan Restaurants for Breakfast, Lunch, and Dinner. 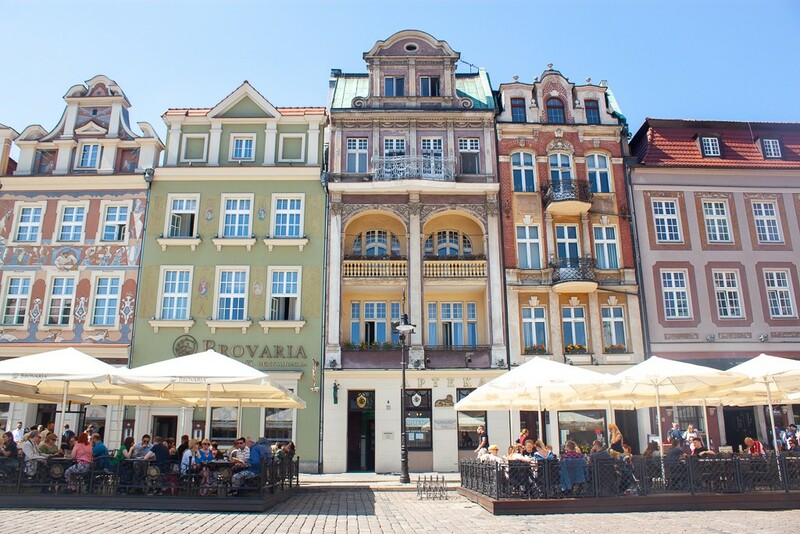 Where to stay in Poznan? Check these hotels in Poznan for options. Why Quedlinburg? The better question is why not Quedlinburg? This quaint medieval German town, close to the Harz mountains, is filled with historic half-timbered houses, a massive castle complex, and plenty of cute restaurants and cafés to eat and drink. 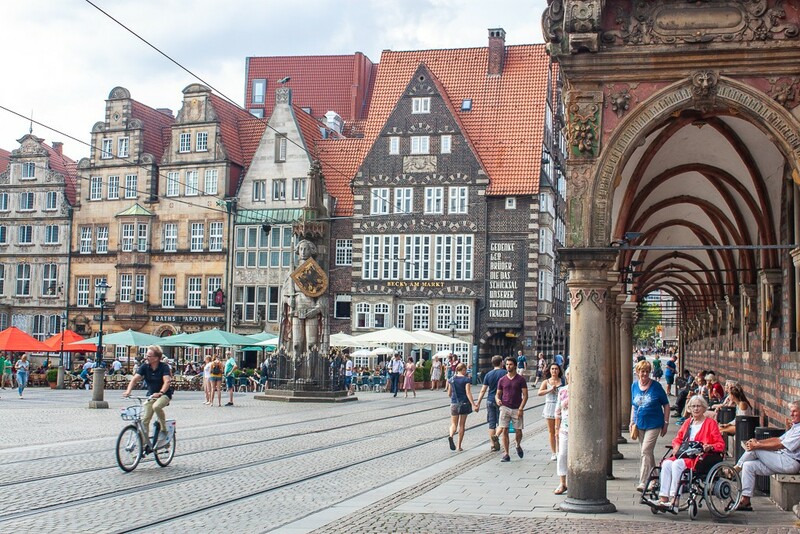 Wander aimlessly along the cobblestoned streets, observe the local action in the Market Square, and sip local brews at Brauhaus Ludde. I visited Quedlinburg in the summer, but can imagine how lovely it must be in winter when Christmas market season’s in full swing. 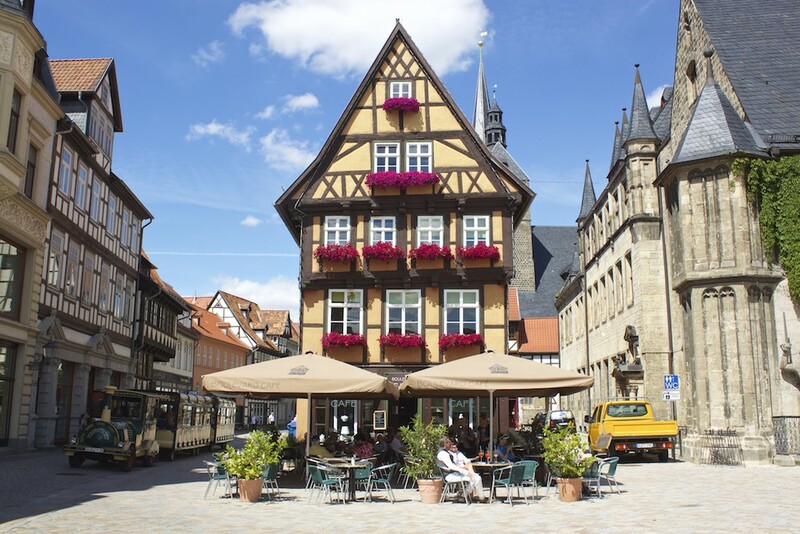 Where to stay in Quedlinburg? Book any of these hotels in Quedlinburg. Why Rostock? More exciting day trips from Berlin? If you fancy a day breathing in fresh sea air, head north to Rostock. 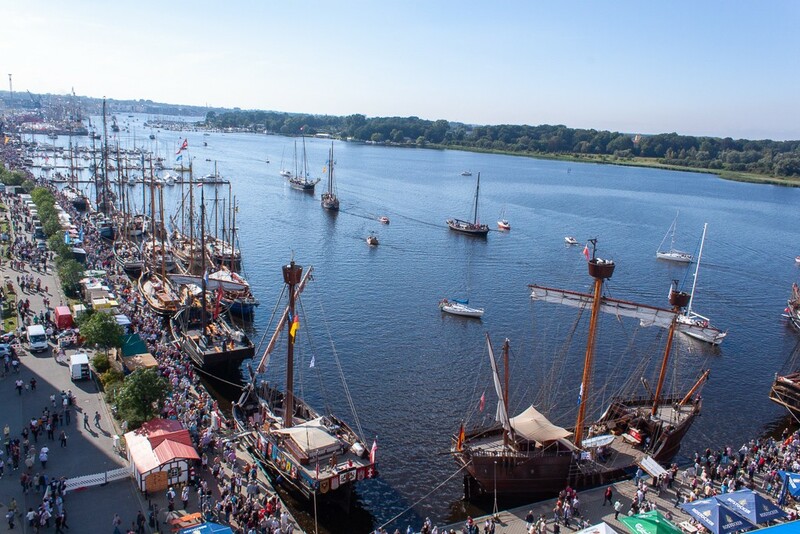 Here you can spend a day of fun under the sun at Warnemünde Beach, walk along the picturesque Rostocker Stadthafen (harbour front), tour different cathedrals, and experience nautical themed events like the Hanse Sail. Rostock will always hold a special place in my heart as it was one of the first day trips I took from Berlin after moving to Germany in June 2011. Where to stay in Rostock? Stay at one of these hotels in Rostock. Why Schwerin? Around two hours from Berlin, Schwerin is another ideal day trip. With a population of 90,000 people, the crowning jewel of Schwerin is undoubtedly the majestic Schwerin Palace, also nicknamed the “Neuschwanstein of the North.” Come to tour the castle interior, stroll through its gardens, sip coffee at Cafe & Konditorei Rothe in the Market Square, and enjoy a stunning view over the town from the Schwerin Cathedral. If you’re a castle fan like me, Schwerin is just the place for you. Recommended reading: For a sneak peak of what’s in store for you, take a look at these Schwerin photos. Where to stay in Schwerin? 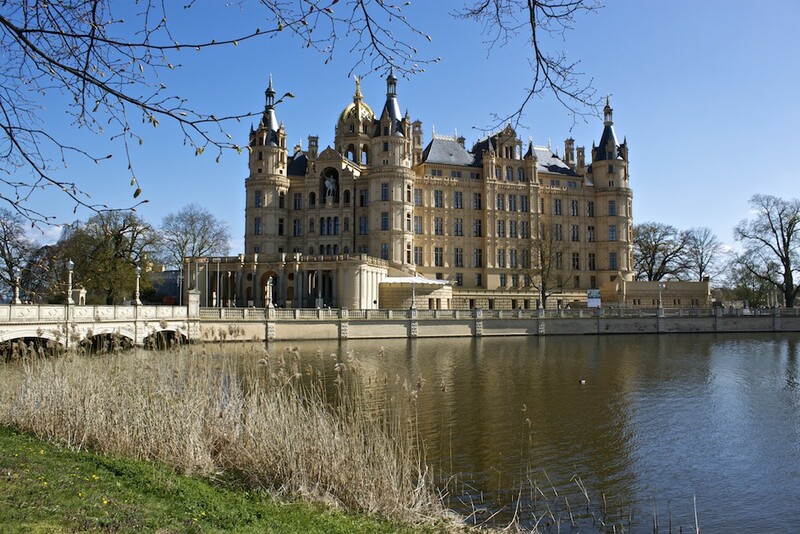 Stay at one of these hotels in Schwerin. Why Szczecin? 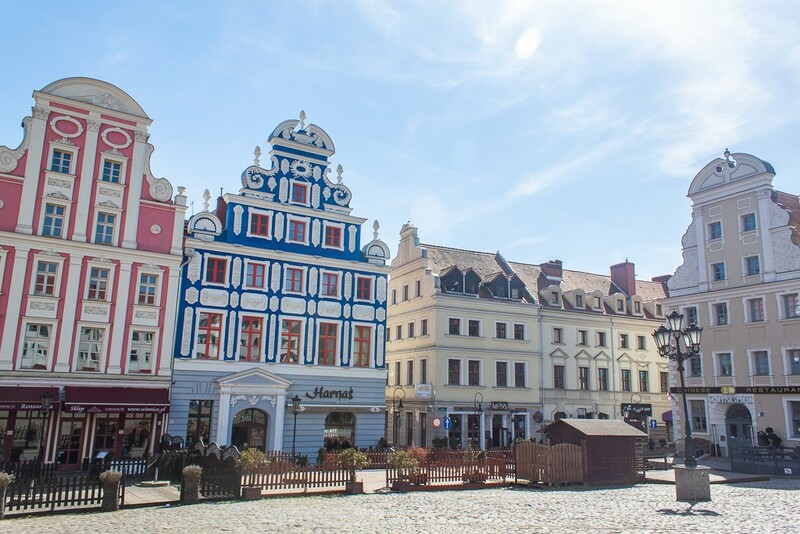 Only two hours away from the capital, Szczecin is an easy day trip from Berlin whether you go by train, bus, or car. Head to Szczecin to feast on tasty perogies at Harnaś (I recommend trying the pork one stuffed with herbs), tour the Pomeranian Dukes’ Castle, walk around Solidarity Square, watch a performance at The Philharmonic, or take in the majestic architecture at Wały Chrobrego. This is a city I’ve visited time and time again, as it’s one of the best places to take visiting friends who want to hit up a different country when they’re touring around Europe. Recommended reading: My personal travel tips about how to make the most of your time in Szczecin – A Day Trip From Berlin to Visit Szczecin Poland. Where to stay in Szczecin? Check out my curated list of hand-picked hotels in Szczecin. Have we missed out on any exciting day trips from Berlin? Let us know in the comments below. 1) If you liked this article, read some of the blog’s most popular Germany articles, 60 Signs That You’ve Been Living In Germany For A Long Time and Essential Tools An Expat in Germany Can’t Live Without. 3) If you want to get around Germany on your own terms, do a roadtrip and rent a car. 4) If hotels aren’t for you, book an Airbnb apartment. First time Airbnb users, use this link to get a €34 travel credit. Download this Google Map to keep track of these exciting day trips from Berlin. 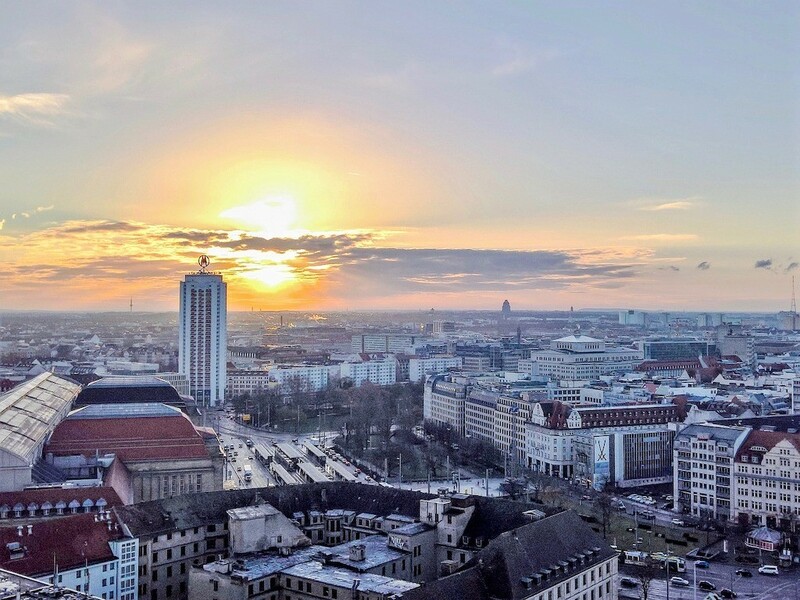 Video: Instagram Postcards of Munich. Cheryl, time to discover Wroclaw on your daily trip to Poland! We’re hoping to come to Berlin in autumn, we’ll be arriving by train from Greece so Leipzig and Dresden are possibilities here. Thanks for the other suggestions. I can’t believe I have never been to Germany. It is gorgeous! I’ve been to Hamburg and it was great. Would love to visit the 19th century Devil’s Bridge, I’m one of those instagrammers! Hamburg’s my favourite city after Berlin. That bridge is so beautiful. Highly recommend a visit!